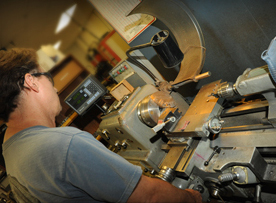 Our special skills include precision engineering, design and tooling of molds for products requiring micro-precision. We work in close collaboration with your product developers and we like to begin our work with clients early in their R&D or design phases. 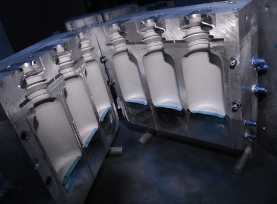 This way, we can provide the benefit of our expertise accumulated over 30 years working with mold design and plastics manufacturing for injection and blow molded products. Microdyne Plastics offers specialized services such as plastic part design, mold design and fabrication, precision plastic parts manufacturing, clean room process, and secondary services like product decoration (silk screening and labeling), assembly and shipping. Our competitive advantages include ISO 9001:2008 certification and (FDA) Device Manufacturing License from the California Department of Health Services, Food and Drug Branch. We are a licensed medical device manufacturer. While our special skills and capabilities add value to new products, we also have a successful record for of taking over manufacturing processes from other vendors when the need arises to change. Microdyne Plastics is a leader for all of your plastic injection molding, blow molding and plastic stretch blow molding needs. Microdyne works with customers to produce the best product at the best cost. This process is more than just quoting the lowest price, rather it includes understanding many costs, and the life cycle of the product. Building plastic products from design through completed product can have many more obstacles than is apparent. There are three hurtles to overcome. A company that has vast experience in all the phases of plastic product production can be a great advantage to companies that need a good manufacturing partner.